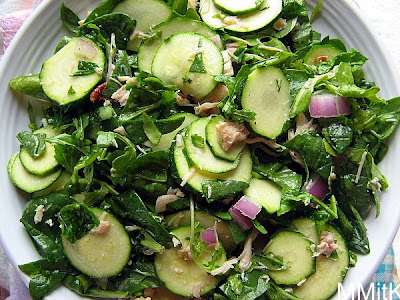 We made this delicious salad as a side on Father's Day. I recently discovered that I do like lima beans and so I have been anxious to try them in more recipes. On a side note- I also discovered that I can grill a steak. We went shopping at Publix the day before Father's Day and the woman was grilling steak in the front of the store. She made it look so easy that I bought my husband a steak and grilled it to perfection. This goes to prove that there really is a first for everything! Anyway, back to the recipe at hand. This salad is delicious. 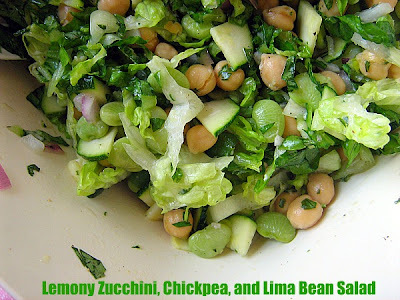 It combines some great ingredients, like raw zucchini and chickpeas and it very easy to mix together. It was a big hit and almost a show stopper. 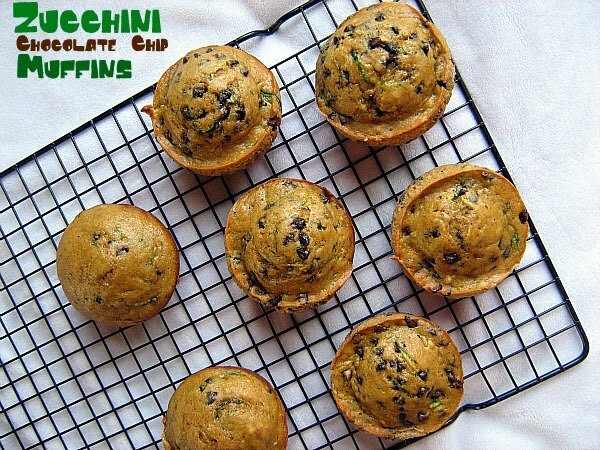 If you have zucchini that you need to use, try this! My husband said that this should not have "cheesecake" in the recipe title, simply because it is not a typical dessert cheesecake. He also thinks that bread pudding needs to be renamed. I can't really change the name since I didn't create this recipe, but please note that this is indeed, a savory dish. My sister and brother came to visit almost 2 weeks ago and so, I realized that their visit was a good chance to make a few things that might be better appreciated by adults. I still had tons of zucchini coming out of the garden and I thought this looked like a great way to use some of it (I used yellow squash too). This is an interesting dish. It is hard to explain. The texture is not exactly smooth, but it isn't weird. The flavor is mostly ricotta, but the lemon zest really shines through. The dill is also really present and noticeable. 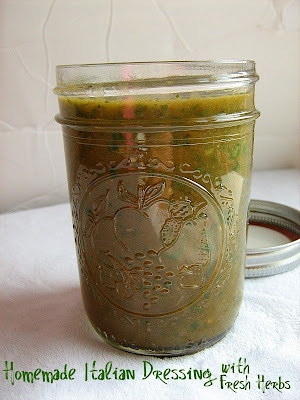 A couple of us really liked this one and I am finding more and more recipes that I really want to try from this blog. I was so excited when I found this cookie recipe that included zucchini. I was excited because it wasn't a cake-y cookie and there wasn't any chocolate involved. Not that I don't like the chocolate/zucchini combination- I do, but I wanted to try something different. These cookies have a very nice texture. 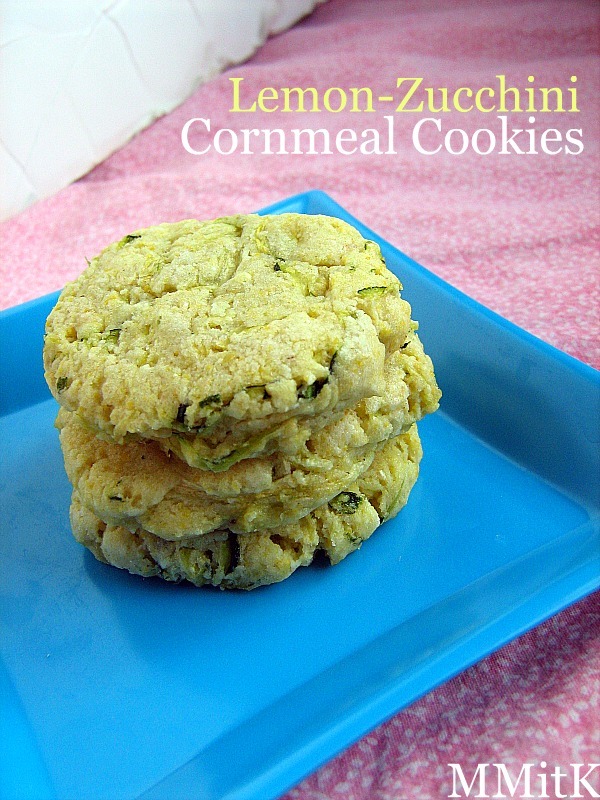 The cornmeal makes them a little bit sandy and the aren't overly sweet, but the lemon and zucchini really pair together nicely. They taste good straight from the freezer and you can mix them up with very simply- all it takes is a good spoon and some arm power. I took these to a family gathering and they were a pleasant surprise. Many people were slightly alarmed by the combination of flavors and how well they all worked together. I have decided that zucchini is quite delicious raw. I don't know why I never realized this before, but having so much zucchini to use has really made me appreciate the many ways it can be delicious. This salad was something I threw together quickly on a weekday afternoon for lunch before we went for our daily swimming adventure. My son thought that the zucchini was cucumbers and when he tasted them, he didn't revolt! I guess that they passed for cucumbers even though he knew they weren't. The raw factor added that crunch that he was looking for. We all really liked this one. I was surprised by how much we liked it. I loved the freshness the little bits of fresh mint added and the pecans were a fun little crunchy item as well. 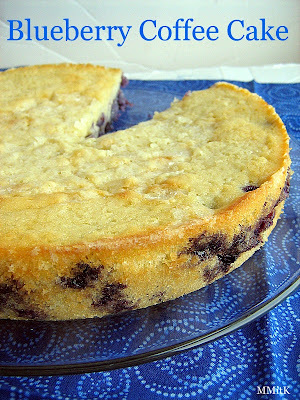 I made this Blueberry Coffee Cake for breakfast the other day and everyone thought it tasted like a giant blueberry muffin. There are no other flavors going on here, so it has a pretty basic taste. I had a slight problem getting mine out of the pan, some of the blueberries were abandoned on the bottom of the pan and it made me think that this could be served as a Blueberry Upside Down Cake because the blueberries sink to the bottom quite a bit. All in all, it was a good little breakfast treat. Very simple and basic. This was an exciting dinner because I was able to use the first 2 eggplants that I harvested from my garden. My dad planted a Ichiban eggplant plant for me and I was a little worried about it producing any eggplant because the bugs were really enjoying eating the leaves. I was so excited when I saw a few eggplants growing and I was able to pick them after a few days. The roasted veggies in this wrap are something that I could eat at every meal. Simply roasted, with fresh herbs- nothing compares to roasted vegetables in my opinion. The fresh mozzarella was really delicious (although you can't really see it on my wraps- it is there, beneath all the yummy veggies). I made double the amount of the roasted veggies because I really enjoy having them with eggs for breakfast or to top a salad for lunch. 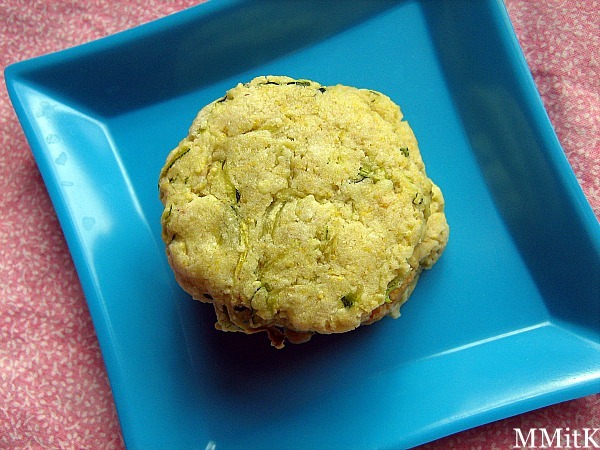 I was wondering the other day why you never really hear about or see recipes for summer squash muffins or summer squash cake. 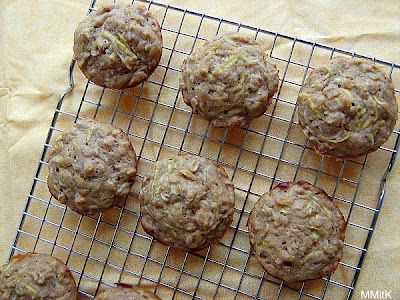 There are a million recipes for zucchini cake, with chocolate and all sorts of spices, but not so many with summer squash. 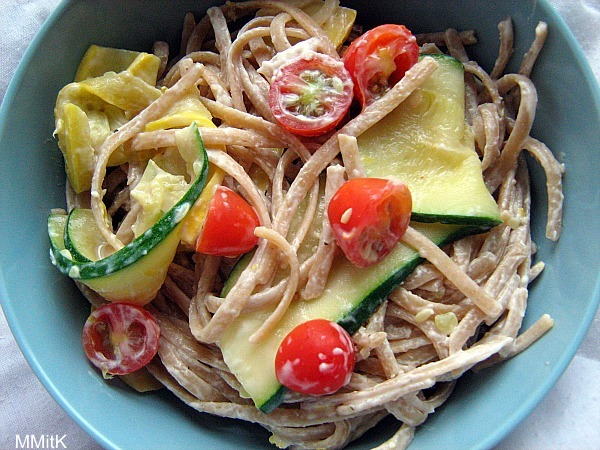 Summer squash and zucchini are sort of the same thing, so I am thinking that either one would work in most any recipe. But, I don't know, maybe there is something special about zucchini. I finally found a summer squash muffin recipe and tried it out. It is a really interesting one because these muffins aren't really that sweet. I really liked that about them, but they still have a interesting hint of spices/vanilla. I enjoy breakfast muffins that don't taste like they should be dessert and these definitely fall into that category. They were almost savory, but not quite. Really intriguing. I froze some of them because my sister and brother and coming to town for a visit and my brother is a muffin lover. So- we will soon see how they do from the freezer! Combine flour, oats, baking powder, salt, cinnamon, and allspice in a medium-large bowl. In a medium bowl, combine egg,buttermilk, oil, and honey. Mix well. Add wet ingredients to dry ingredients and stir until just moistened. Gently fold in squash. I have to apologize for the fact that my blog has been taken over by zucchini and summer squash, but when you pick at least 5-6 a day out of your garden, you kind of have to eat them fast and in everything. 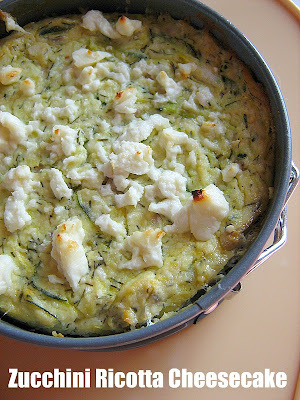 I have been using a small zucchini in my breakfast everyday, sauteed/ on the side of my eggs, but I still have to incorporate them into our dinners. When I saw this recipe over at Ezra Pound Cake, I knew it would be a great one for a summer night. Light and quick. Lots of veggies. bright flavors. This dish has it all. I wasn't sure if my kids would enjoy the yogurt/lemon sauce since it was tart and well, quite lemon-y, but they gobbled this one down. And, I used grapes tomatoes from the garden. Nothing tastes as good as a home grown tomato. Nothing at all. This cake has made an appearance here before, but not in it's full-sized glory. And last time, I didn't include the ganache glaze. Those two things meant that it had to be re-made. Not to mention the fact that it is delicious and I remembered how good it was even though I made it a year and a half ago. Not to worry. We didn't eat this entire cake. It was part of the dessert table at a recent church gathering. It didn't last long and that didn't surprise me. This cake is a really good way to use some of your zucchini. Do you need any? ?- because I have some I could share!!!! Stir together the sugars and butter (or oil) in a large mixing bowl until smooth. Add the buttermilk, eggs, and vanilla; mix well. Add half the dry ingredients. stirring until evenly moistened. Stir in the zucchini, then the remaining flour mixture. Stir in the chocolate chips. Pour the batter into the prepared pan. Bake until the top springs back when lightly touched, 45 to 50 minutes. Remove from the oven and cool on a rack for 15 minutes. 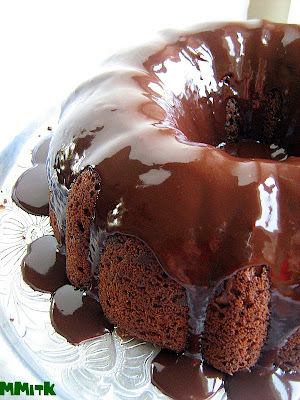 If using a bundt pan, remove the cake from the pan and cool completely. If using 9*13-inch pan, you can serve from the pan of invert cake onto a platter and drizzle with the glaze. To make the glaze: Heat the heavy cream to a simmer, and pour over the chocolate chips in a bowl. Stir in the corn syrup, and keep stirring until there are no more lumps and the mixture is smooth. Drizzle over the cooled cake, if desired. We used grape tomatoes from our garden on these delicious tuna melts!! And that was very exciting. I didn't follow the instructions exactly, but these were a really great dinner after a long day of swimming. Filling and delicious. 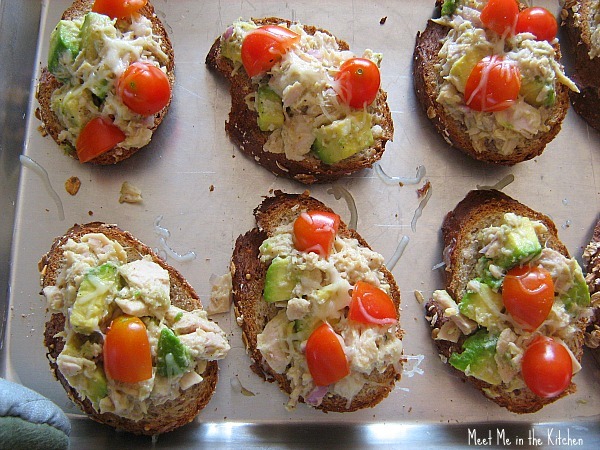 I really like the combination of tuna and avocado and so did my family. Here is another zucchini/summer squash recipe that caught my eye when I was flipping through a magazine. The preparation takes minutes and it is really fun when you can go and pick the ingredients that you need for dinner from your own garden and then turn them into something this delicious. I was pleasantly surprised by my childrens reaction to this dish. They all loved it, which is really saying something since my son doesn't like zucchini or summer squash unless they are cooked just right. The grill really made these zucchini/squash slices taste yummy but still left enough of a bite that they were not soggy at all. I will definitely be repeating this simple side dish! 1. Heat a grill or grill pan over high. Clean and lightly oil hot grill. (I sprayed my indoor grill with cooking spray). In a small measuring cup, combine 5 Tablespoons each buttermilk (I used low-fat) and extra-virgin olive oil with 2 teaspoons white-wine vinegar. (I used red wine vinegar). In a food processor combine 1 garlic clove, 1 cup packed fresh basil leaves, and 1/3 cup coarsely grated Parmesan cheese. Process until basil is finely chopped. Season with salt and pepper. With machine running, add buttermilk mixture in a slow, steady stream and process until smooth. 2. Cut 4 medium zucchini or yellow squash into 1/4-inch slices. Place on hot grill. Coat with cooking spray and season with salt and pepper. 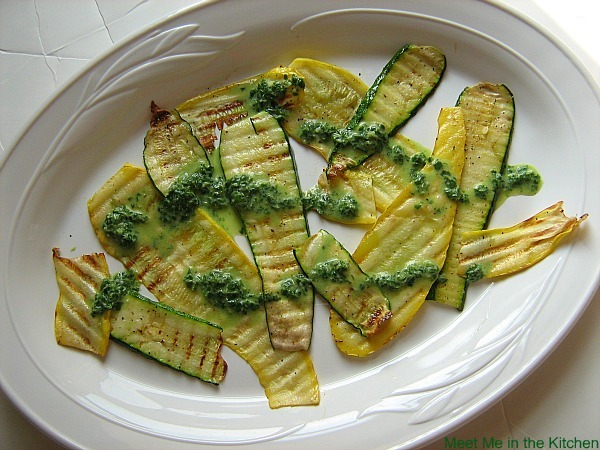 Grill zucchini, until lightly charred and tender, 4 to 6 minutes, flipping once. Transfer to a serving plate and drizzle with dressing. With the overflowing amount of zucchini that I have at my disposal, it was only a matter of time before some sort of zucchini bread/muffins was made. I posted a few zucchini muffin recipes here in the past and as usual, I wanted to try something new. My son requested that chocolate chips be involved, so I found a muffin recipe that looked good and decided to change it up a little bit. Well, actually a lot of changing went on in here. I used only white wheat flour and substituted low-fat buttermilk for most of the butter/oil called for. I added a few Tablespoons of canola oil, (2-3), and hoped for the best when I popped these guys into the oven. I also had to omit the nuts/dried fruit and add mini chocolate chips to keep my son happy. Success!! I love it when that happens to a recipe that I feel like I modify quite a bit. These were great- We loved them. I found the perfect Tabbouleh recipe last year and haven't really wanted to try another one since. 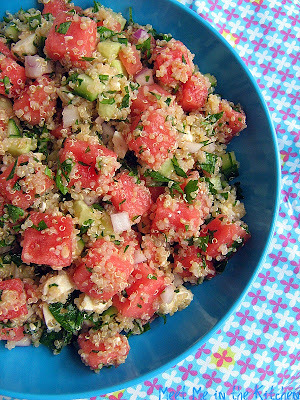 Until, I saw a Tabbouleh recipe that had watermelon in it. Watermelon is my favorite food. I usually don't do anything to it, because I just want to eat it the way it is. But, last summer I tried a delicious watermelon salad that absolutely converted me to combining watermelon with savory ingredients like feta cheese. And dressing it with olive oil mixtures. I decided I wanted to make this particular Tabbouleh with quinoa instead of bulgur, because I had quinoa on hand and I wanted to make a big batch of it to use with other ingredients as well. It worked. I think bulgur has more of a bite/crunch to it, but the quinoa was really good in this salad. Overall, I really liked the combination of flavors and thought this was a great take on Tabbouleh. This would be a great side for a summer dinner, or a main dish for that watermelon lover that might be out there in your midst. My daughter loves getting her hands in on the dipping when I make zucchini fries, so we decided to try the same idea in the form of a "chip" for our next cooking school experience. 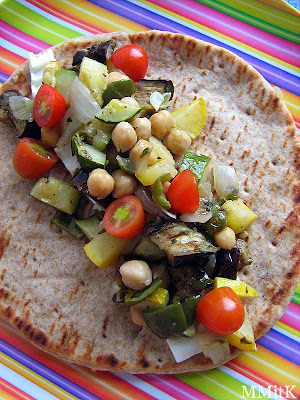 We have tons of zucchini to use and this was the perfect way to eat a few of them. 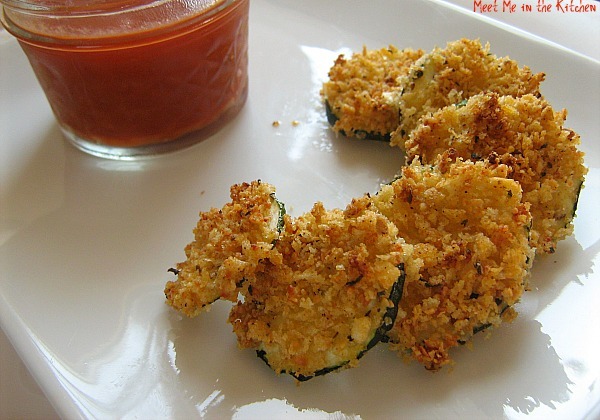 This recipe was a little bit different, in that it didn't use any egg to help "stick" the breadcrumbs, or in our case panko crumbs to the zucchini. The cheese that is added to the crumb mixture helps the coating stick when it bakes in the oven. My kids absolutely loved making and eating these. I don't know any child that wouldn't love getting their hands "dirty" while dipping slices of zucchini in milk and breadcrumbs and then arranging them on a cooking sheet and waiting for them to crisp in the oven. I've got summer squash (otherwise known as yellow squash and/or crookneck squash) and zucchini coming out of my ears! Last week alone we picked over 20 zucchini/summer squash from our plants. It's really fun to go out in the morning and see how many there are waiting to be picked and once in awhile to find one that somehow stayed out of sight until it was huge! Anyway, the whole point is, I have a ton of these green and yellow guys and have been trying lots of different recipes to use them. 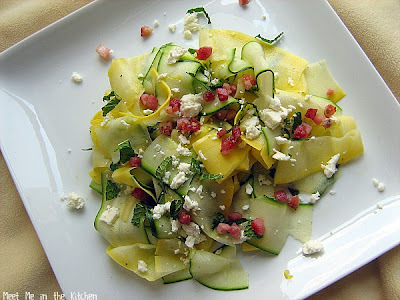 This has got to be one of the most delicious ways that I have had summer squash. 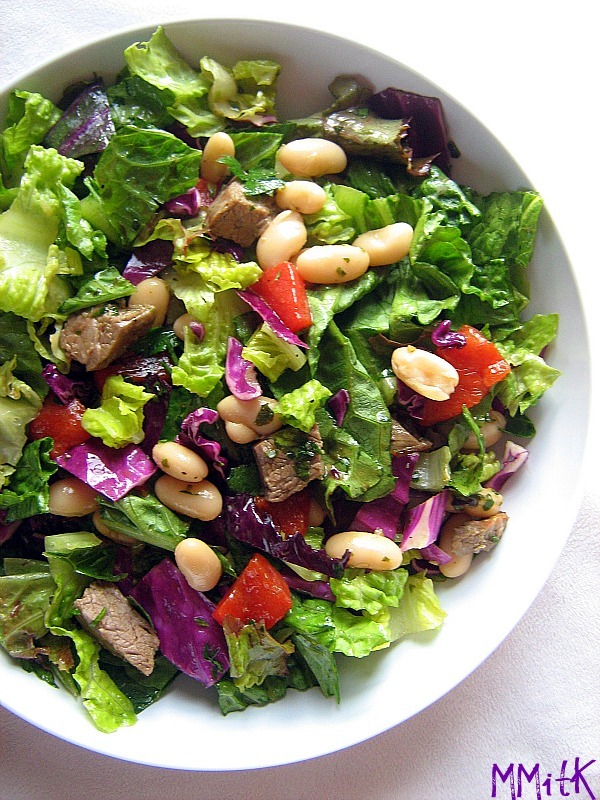 This salad takes moments to fix and it is amazingly amazing. It is so simple, yet so good. The summer squash and zucchini are shaved with a vegetable peeler into thin strips and combined with a simple dressing of lemon juice, olive oil, fresh mint, salt and pepper. Add a little pancetta- which I used because I like it better than prosciutto, and top it with some feta. Delish and ready in minutes, without slaving away in the kitchen on a hot summer day. A couple of months ago I was contacted by Ryan from POMwonderful and he asked if I was interested in trying some of the new POM Cranberry juice. I was excited about the new flavor and what I might be able to create with it, so I jumped at the chance to receive some of it in the mail. I had all sorts of ideas and recipes that I wanted to try with this new, delicious POM juice, but it was so popular with my family as a drink that I literally had to hide the last little bottle so that I would be able to make something with it. Since the weather has been quite warm here in Georgia for quite a while, I decided to make something cool and crunchy- POM Granita. It's really quite simple, really. 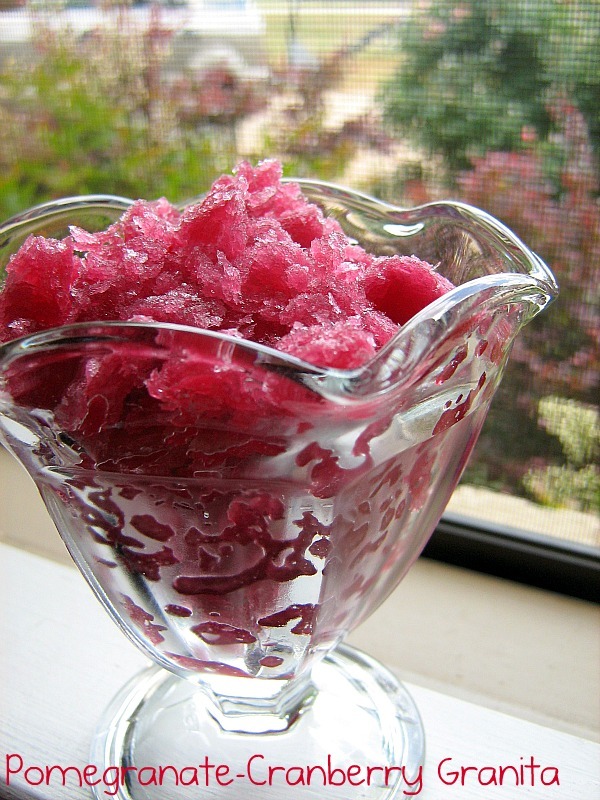 You make a simple syrup, stir that into the POM juice, add a little lime juice, and then freeze the mixture in a shallow pan, scraping it every 30 minutes or so. The result is quite delicious. Perfectly cool and refreshing. My friend and I finished the last of it off while we were outside watching our kids run through the sprinklers and play with water guns. Perfect, just perfect. This was the second salad I made with my daughters when we were discovering more about salad. I chose this salad because it didn't contain lettuce or greens of any kind, so we talked about how many different choices there are when it comes to making salad. We threw this together quickly, on a Sunday afternoon, right as we walked in the door from church and it was ready it just a few minutes. My daughter measure the ingredients for the dressing and stirred it all together. She loves to chop, so she did that too. I would have preferred that this salad contained less sugar in the dressing, but that is probably because I don't really care for sweet dressings. We decided to serve this salad on top of some red leaf lettuce leaves from our garden. It was very good and quite refreshing. In a medium bowl, stir together poppy seeds, vinegar, sugar, and oil. Add cucumbers, celery, and tuna; season with salt and pepper. Toss well to coat. 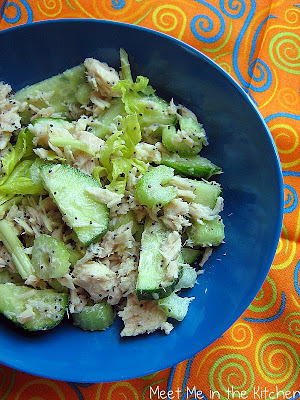 Sprinkle with celery leaves and serve immediately (or refrigerate, covered, up to 1 day). My daughter picked salad for our next "Cooking School" experience. We decided to make at least 2 kinds of salad. This was the first one we picked because it was a main dish salad that had lettuce as a main component. I also thought it would be fun to make a homemade Italian dressing since I prefer homemade dressings to bottled ones. Also, please notice that I made a salad that contains beef. We cooked a flank steak. I am amazed. And it was easy. And it was tasty. My daughter helped chop, rinse, cut and prepare the dressing. This was a great one to make together because there were lots of steps that she could help with. This salad was fairly easy and perfect for a main dish salad. I don't think it would have been as good without the homemade dressing, but that is obviously just my opinion. Fresh herbs really made this dressing delicious. I know it really isn't "technically" summer yet, but guess what- at my house, it is. When you are dealing with mid 90's, no school, swimming, sun and fun- that is summer. I' m all about the fresh and quick salads right now. 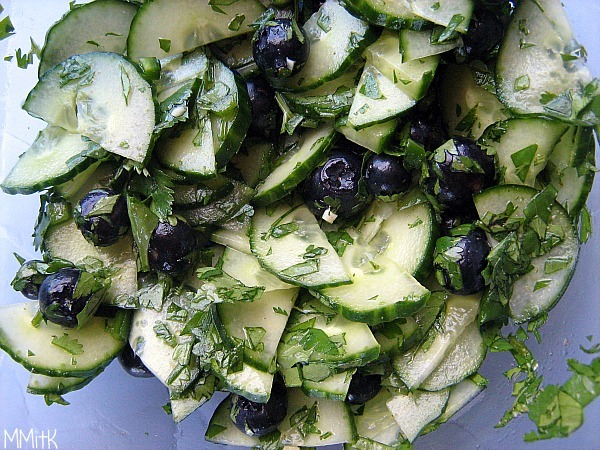 I saw this in a magazine and decided it would be a fun twist on 2 of our favorite ingredients- blueberries and cucumbers. Plus, I love spicy, so this was a fun one to try. Colorful, light and easy. I really couldn't ask for anything more on a hot summer day. 1. Thinly slice the cucumbers into half-moons, about 1/8-inch thick; season with salt. 2. In a large bowl, combine the jalapeno, lime juice, garlic and cumin; whisk in the olive oil. Add the cucumbers, blueberries, and cilantro and toss to coat. For this month's Cooking Light Virtual Supper Club, Sandi decided that we should get out of the kitchen and have a BBQ! Sandi started us off with Scallops Grilled on Rosemary. Sounds like a pretty great way to get the menu going to me. We have a few appetizers to add to that- Roz picked Grilled Stuffed Portabello Mushrooms and Val decided on Barbeque Chicken Sliders with Pickled Onions. We've got some great sides to round out the rest of the meal as well. Jerry prepared a Grilled Vegetable Salad with Creamy Blue Cheese Dressing and Jamie made Thyme Potatoes. Once again, after looking at this menu, I am trying to decide which of these dishes I want to try next. They all look and sound amazing! This time I chose a dessert. Ice Cream is something that I associate with summer and grilling out. I have many memories of having special homemade ice cream to go along with something that my dad would fix on the grill. 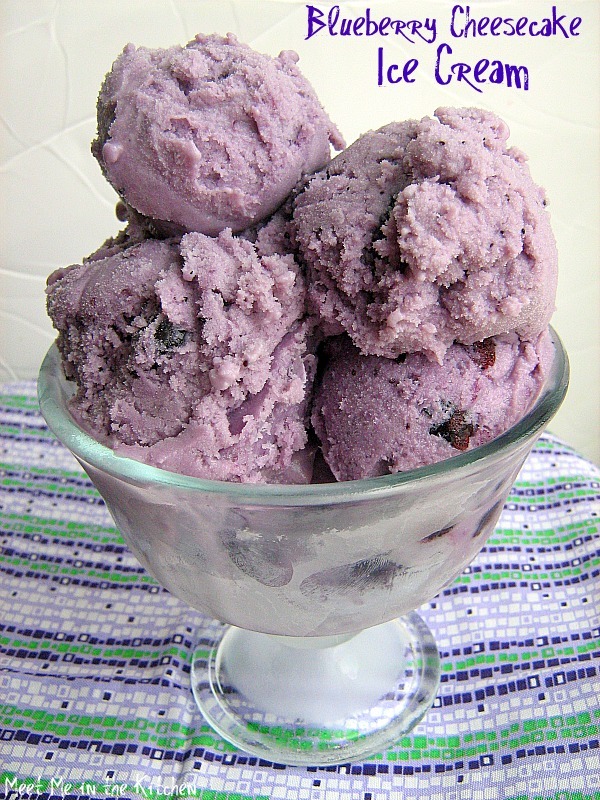 I decided to finish off our meal this month with Blueberry Cheesecake Ice Cream. Blueberries are in season and really, who doesn't want something as decadent as ice cream and cheesecake combined into a lighter dessert? This ice cream has a few steps that require the stove top, but they only take a few minutes. 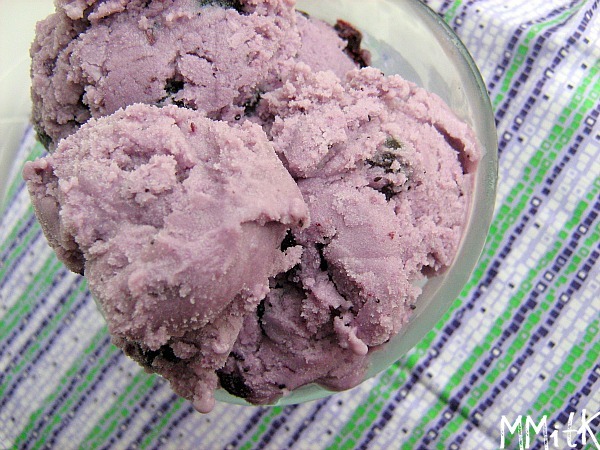 They you can churn your beautiful purple custard into creamy, dreamy ice cream. A few thoughts about this ice cream. I didn't really think that it had a strong cheesecake flavor, so if you don't like cheesecake, don't let that scare you off. I also felt like it was just a little bit too sweet- next time I would reduce the amount of sugar that goes into the cream cheese/sugar/egg yolk mixture. I think you could take out about 1/2 cup and probably still be ok. Other tasters thought it was perfect, as is. But my preference would be to make it a little less sweet. It was still mighty delicious. The perfect afternoon treat to cool us down after day at the pool. Make sure you check out what the other members of the Cooking Light Virtual Supper Club prepared for this month's BBQ and get inspired to step out of the kitchen!